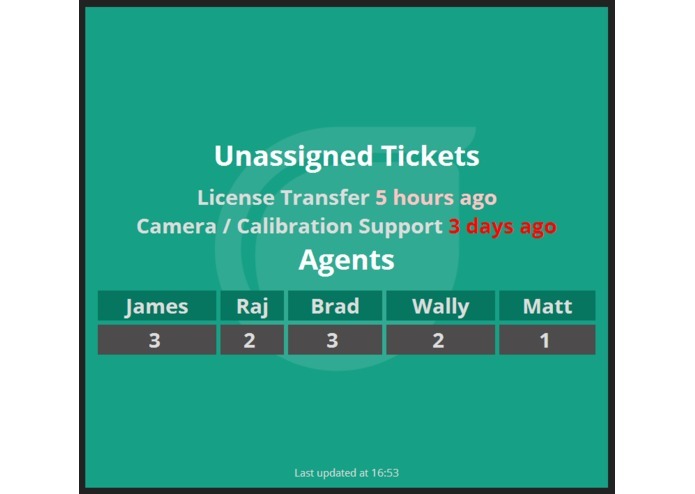 Displays unassigned tickets subject and time. Displays Ticket counts assigned to Agents. Time for each ticket changes color depending on age.